This stage has now been removed from view, thanks NPaonessa. Though the latest entry in the Call of Duty Series — Advanced Warfare — is yet to be confirmed for Wii U, there's still a small but dedicated group of players seemingly enjoying the franchise on Nintendo's system. For those that still gear up for some online matches in Call of Duty: Black Ops II, this week also brought a surprise treat with the Nuketown 2025 map being added for free. We say treat, but the map had already been available to purchase or as a pre-order freebie on other systems, so it was a long time coming. The Wii U version has had the occasional free map but, unsurprisingly, has been lagging far behind the 360 and PS3 entries, likewise in the more recent Call of Duty: Ghosts. There may be another map coming to keep the band of Black Ops II soldiers interested, however, as Die Rise has popped up on the map select screen but can't actually be chosen. Released in early 2013 on rival systems, this takes place between multiple skyscrapers in Shanghai, China; it's a zombie map. The occasional arrival of these maps is arguably a little odd, though free content is always welcome — even when it's very late; we're yet to see whether this inclusion of the un-selectable map is an accident or precursor to its inclusion. As for Advanced Warfare, we'll have to see whether it follows the trend set by its predecessors and gets a late release confirmation for Wii U; we should know in the next month or two. Thanks to undead_terror and Ryan Millar for the tip. "You can see it, but can't play it"
I'm still not going to re-purchase it. I sold it due to lack of DLC and to purchase Ghosts. I don't understand why they are now supporting this yet still ignoring Ghosts. Eh, this isn't the first time something that could've possibly come mysteriously shows up teasing you. If it's gonna be like Black Ops 1 Wii, the DLC isn't gonna happen. Let's see if you all will be lucky enough to fight against my Chinese zambies! Isn't Black Ops 2 similarly-themed (futuristic) to Advance Warfare? Maybe Activision is gauging Wii U owners' interest and will decide IF they release Advance Warfare on our platform? Or maybe not, but they are teasing us Wii U owners that Advance Warfare WILL BE released on the Wii U? I am SO getting blops 2 over ghosts now! I was considering getting my first CoD for awhile now, and many people said blops and 2 were better than ghosts, so I was leaning towards this, but a new map(s) seals the deal!! It's only £20 too! I guess Activision are going to watch server numbers over the next couple of months. I'm happy with free, I never buy map DLC ever. Too late. Treyarch already took off Die Rise and Turned off of the wii u leaderboard. I was really looking forward to it. I still have the occasional game of BO2 but it was probably my least favourite CoD multiplayer ever. It was enough to make me avoid Ghosts. I might be persuaded by Advanced Warfare if it reviews and sells well on Wii U but would prefer them to make a Wii U exclusive Modern Warfare Trilogy. My favourite maps and weapons are still the original Modern Warfare. 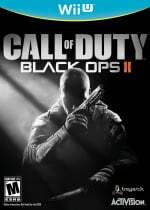 Although I think the franchise might skip Nintendo for another gen.
BLOPS2 is so much better than Ghosts. This random late DLC is so odd, but Treyarch is one of my favorite 3rd party devs for Nintendo. @Laxeybobby Ghosts is a horrible game..
@Laxeybobby because we all know that BO2 is the better game. Infinity ward are a shell of what they once were. @Laxeybobby While I like Ghosts and consider it better than Black Ops II, I think BO II is the more popular game across all platforms. I know on the PS3, Black Ops II still has more players than Ghosts. So, with that in mind, I guess the Wii U version of Black Ops II has the most players out of both games. Can anyone who owns both on the Wii U verify this? Does Black Ops II or Ghosts tend to have more players online? @Caryslan I can confirm that. I don't care about the COD series anymore but it's unfair to just exclude Wii U from receiving Advanced Warfare despite Activision saying last year that they'll "do all they can to support the Wii U"
This DLC for some reason want's to play black ops 2 for my wiu again, but i sold it but it's cheap now,so i will think about it and maybe play it again. CoD opinions aside, this just shows how much Ghosts failed to meet expectations, and how quick Activision is to abandon ship instead of fixing the leaks, even though they're unbelievably big. Additionally, this late support for Black Ops II also indicates that Activision is aware of the growing WiiU userbase, though I would never take this as a hint towards Advanced Warfare getting a WiiU release, after all. @Mega719 To be honest, 'fairness' isn't part of Activision's schedule to begin with, so take their announcements with a handful of salt (a grain won't suffice). @Splatom Everybody should, but we need to wait for its release. SPLATOOOOOOOOOOOON!!! I really enjoyed BO2 on my Wii U. It's one of the few great experiences I have had on the system. Playing zombies with my friend online while having my own screen was awesome. I am gonna pick the game up again soon, I just hope there is still a bunch of people playing online. I like my copy of blops 2 and ghosts. I did take a break from both to play other games. Just started back up on ghosts. @Laxeybobby That's not really a fair comparison. All Black Ops 2 did now was simply play catch up to Ghosts. They now both have one single bonus DLC map... And Black Ops 2 fans had to wait nearly 2 years for what Ghosts has already had for months now. It's rather absurd. Fact is, NEITHER game on the Wii U gets the real DLC that matters which is the DLC packs. Black Ops 2 has 4(Die Rise and Turned actually both come the first pack called Revolution) and Ghosts 4th and final one is coming out for the other consoles real soon. Either way, the whole thing is a real disappointment, especially for me as I care far more about Zombies maps than standard multiplayer ones. I got so pumped when Die Rise and Turned appeared on the leaderboards, only to be let down yet again. Maybe more DLC will come, but I'm not getting my hopes up again. It wouldn't have been there at all if the assets didn't already exist. I'll take it whenever they are ready to release it. October would be perfect. I do believe they are trying to figure out what the Wii U CoD community is all about, and if interest is real or all talk. If there is a tepid response to FREE dlc, why on earth would they put effort into supporting map packs that require a purchase? Free is free, and fun is fun... I don't care when Blops II was released.